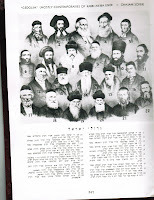 I got the above image from a book on Chasam Sofer and descendants - זכרו תורת משה. Note the inclusion of R Moshe Kunitz and Shir under Gedolei Yisroel. The greatest controversy of his Rabbinate involved an article by Graetz in the journal of Wertheimer and Kompert, who explains the prophecies of Isaiah 53 - "servant of God" as referring to the people of Israel as whole, and not to a personal Messiah. This lead to a indictment of the editor for blasphemy against both Christianity and Judaism. Testimony concerning this question was solicited from R Shir and Z Frankel, as well as from the Chief Rabbi Hurwitz, and preacher Isaac Mannheimer. 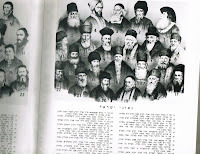 The reply of Hurwitz can be found here , he insists that there is no division between Reform and Orthodox, rather there are religious Jews and less religious Jews. That this statement should be contested by the Orthodox tells you a lot about the Hungarian zealots. Weiss wrote a really nice pamphlet (linked above) in defense of R Hurwitz, who was also a teacher in Weiss's Rabbinical seminary. Another testimony that was given by Hurwitz in relation to this trial (that I think even the great bibliophile Herskowitz was unaware of) concerns the exact status of the Talmud, and contains some interesting remarks concerning the Aggados. The testimony can be found here, under the name of the Rabbis of Vienna. Although some would prefer to believe that this speech with its "problematic" comments on Aggadah, was authored by Mannheimer, I have irrefutable proof that it was written by R Hurwitz. In the Geschicte der Juden in Kremsier Vol. 2 we have a number of document relating to the trial. (The first letter pg 143 is from the prosecutor of the trial to R Abraham Plasczek of Boskowitz, and contains the interesting statement that he suspects the testimony of the Rabbis for the accused was "not entirely Orthodox".) The next letter contains the original German copy of the article on Talmud with a letter at the end from R Hurwitz stating that he authored the Teshuva, and was in fact quite pleased with it (יפה כיוונתי בדברי ) - implying I think that this was not just written to fend off the government but what he actually believed.